PrimeNewsGhana's Duah Michael ranks the best pound-for-pound boxers as the 2018/2019 fight calendar continues to unfold in the ring. The top 10 are presented below in countdown order. 10. Deontay Wilder Deontay Wilder (40-0-1, 39 KOs) drops one spot due to his controversial draw with Tyson Fury in December. Despite a late rally, including a dramatic knockdown in the final round, that likely delayed a heavyweight title unification bout with Anthony Joshua. 9. Mikey Garcia Mikey Garcia (39-0, 30 KOs) is taking a huge step up in weight and class with his March challenge of 154-pound champion Errol Spence Jr.
8. 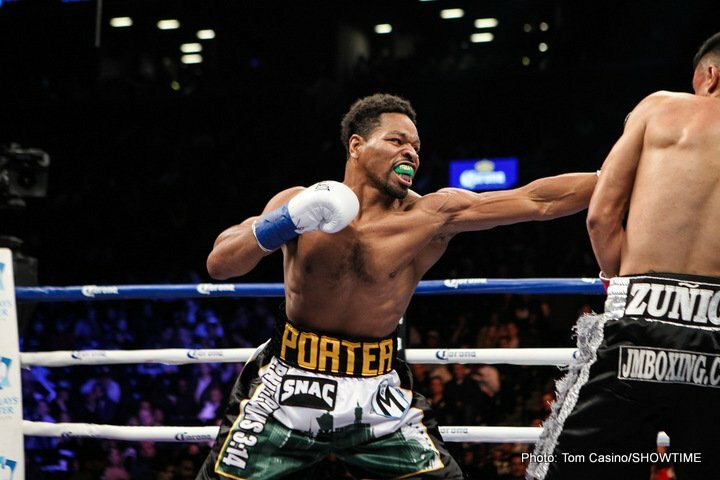 Shawn Porter Shawn Porter (29-2-1, 17 KOs) won the vacant WBC welterweight title with a hard-fought unanimous decision win over Danny Garcia at Barclays Center on Sept. 8. Porter has an aggressive style and has yet to be in a bad fight. Both of his career losses, to Keith Thurman and Kell Brook, were extremely close fights. Against Garcia, Porter finally got the nod in a close one. 7. Leo Santa Cruz Leo Santa Cruz (35-1-1, 19 KOs) scored a unanimous decision over Abner Mares in their June rematch. The win helped him secure his status as the best featherweight in the world. He defends his WBA title against Rafael Rivera in February. 6. 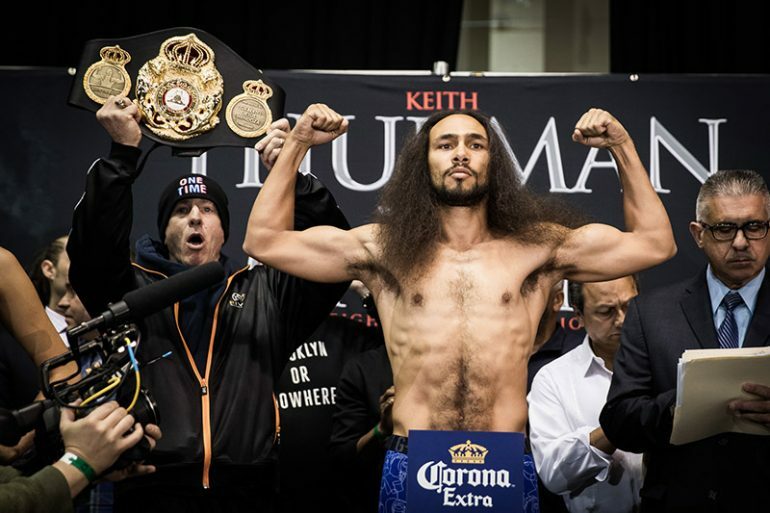 Keith Thurman Keith Thurman (28-0, 22 KOs) makes his long-awaited return to the ring by defending his WBA welterweight title against Josesito Lopez on Jan. 26 at Barclays Center. Thurman had been sidelined with a shoulder injury since his title unification win over Danny Garcia at the Barclays Center in March of 2017. 5. 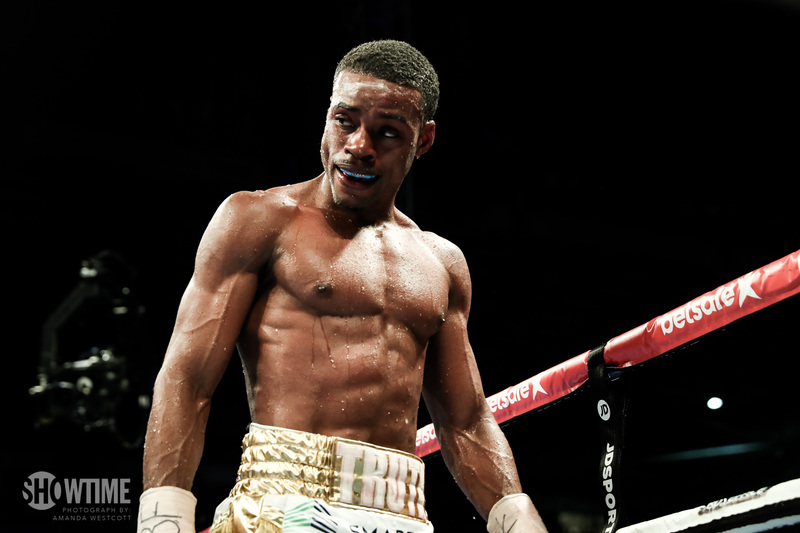 Errol Spence Jr. Errol Spence Jr. (24-0, 21 KOs) is riding an 11-bout knockout streak. He puts it all on the line in March against the very talented Mikey Garcia, who is moving up three weight classes to fight Spence. 4. Gennady Golovkin Many observers felt Gennady Golovkin won his mega-fight against Canelo Alvarez in September of 2017 and the rematch in September 2018. Yet Golovkin (37-1-1, 33 KOs) came up one round short on the judges' card in the rematch, dropping a majority decision. 3. Terence Crawford Terence Crawford (34-0, 25 KOs) continues to win and do so impressively. He moved up to welterweight and stopped Jeff Horn to capture the WBO welterweight title in June 2018 and defended successfully against Jose Benavidez Jr. last October. 2. 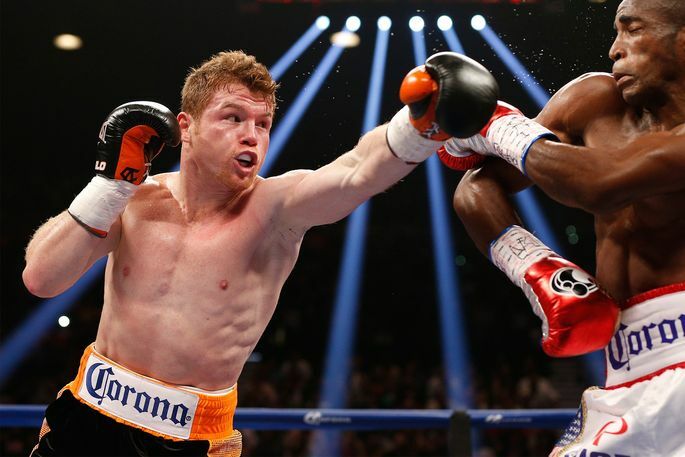 Saul "Canelo" Alvarez Canelo Alvarez (51-1-2, 34 KOs) stopped an over-matched Rocky Fielding at the Garden in December 2018. to capture the WBA super middleweight title. But he will drop back down to middleweight to fight former champion Danny Jacobs in May. 1. 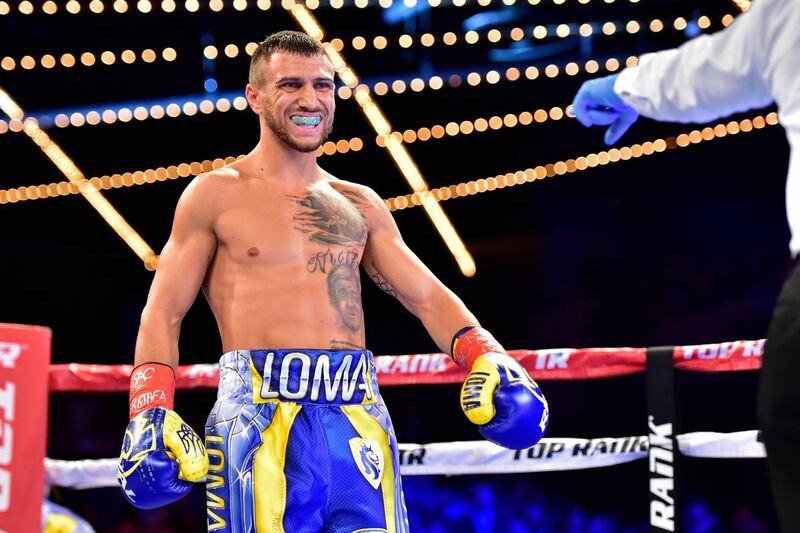 Vasyl Lomachenko Vasyl Lomachenko (12-1, 9 KOs) has scored dominant victories over quality champions Jose Pedraza, Jorge Linares and Guillermo Rigondeaux in his last three fights.